Professional pig producers from around the world will gather for EuroTier at Hanover, Germany, in November 2018 to find out about the latest developments in their increasingly digitised industry. The sector has been quick to adopt new technologies to monitor pigs and their environment to allow the needs of livestock to be identified earlier. This faster reaction in turn leads to societal and economic benefits. With more than 163,000 visitors and 2,600 exhibitors at the last EuroTier exhibition, EuroTier 2018 takes place this year from 13 to 16 November at Hanover’s Exhibition Center. Widely acknowledged as the world’s largest exhibition for livestock producers, this year’s edition has the theme "Digital Animal Farming – Management Support. Animal Health. Food Safety. ", and will highlight technologies for successfully combining productivity and animal welfare, as well as information management and the sustainable use of natural resources. Many digital solutions are already well established on pig units. Health monitoring by analysing water intakes is easy to implement and increasingly common. Low water intakes can suggest disease pressure in the herd, while high water use can reveal burst pipes. Other systems are used to identify sows that are on heat so that they can be inseminated at the correct time. This is important to minimise the number of expensive empty days (when the sow is not pregnant, but continues to consume food). Automatic weight evaluation through optical sensing is also growing in importance. This allows farmers to monitor growth and feed efficiency, as well as accurate selection of pigs ready for slaughter. Most pig supply contracts allow producers to maximise revenue by meeting defined weight criteria, and heavier pigs that are within the required weight band bring the most revenue. The financial rewards from increasing the efficiency of pig production is well understood, so it is not surprising that there is a constant flow of new developments aimed at helping farmers manage their businesses more effectively. Example of these include coughing recognition through microphones that can help monitor the health status of a group of pigs. Early warning of the need for medicinal intervention can bring big financial savings if treatment can be given before the pigs’ growth is compromised by disease. 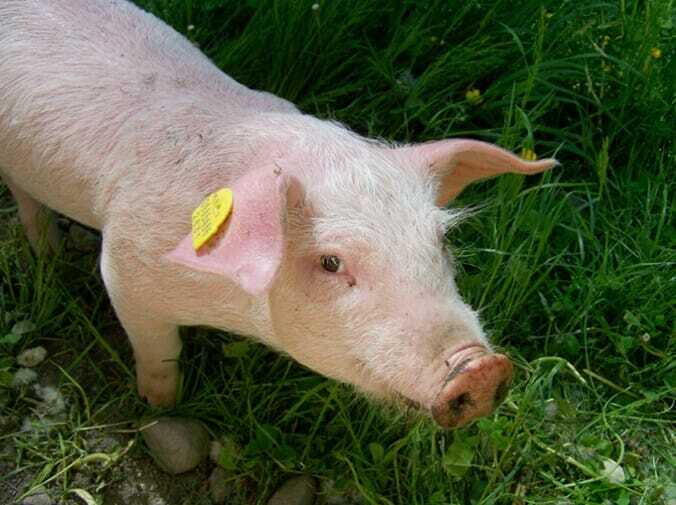 RFID ear tags or collars used in conjunction with antennas on feeding equipment allow the eating patterns of individual pigs to be monitored. Algorithms can be used to analyse this data so it can be used for early detection of disease or accurate detection of heat in breeding sows. And where pig weights are recorded, precision feeding systems now make it possible to match exactly the pig’s diet to its growth stage in order to maximise feed efficiency. Technology that is already available makes it possible to blend a high-energy feed and a low-energy feed to produce the perfect ration for any growing pig. Analysis of images collected by cameras in the farrowing house can now alert staff to the beginning of labour. This is useful as piglet survival is maximised when sows are monitored while giving birth; early intervention when problems occur can prevent serious losses. After farrowing, systems that recognise the vocalisations piglets make if the sow lies on them are also being developed. 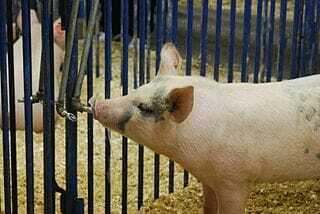 These may prompt the sow to change position, which can reduce piglet losses. Consumer pressure for improved animal welfare is growing globally, and the intensive nature of pig production means it is often singled out for criticism. Developments that can improve a pig’s quality of life will, therefore, be of interest to farmers attending EuroTier. These can be as simple as novel materials the pigs can use for rooting and playing to prevent them from getting bored – which can lead to fighting and problems like tail biting. Boredom is not the only cause of tail biting, and efforts continue to find solutions to this major welfare issue, which is extremely expensive for the pig industry when it occurs. Tail biting can lead to losses from reduced performance caused by infection to complete carcass condemnation. There is also a growing interest in how genetic improvement can impact on animal welfare. 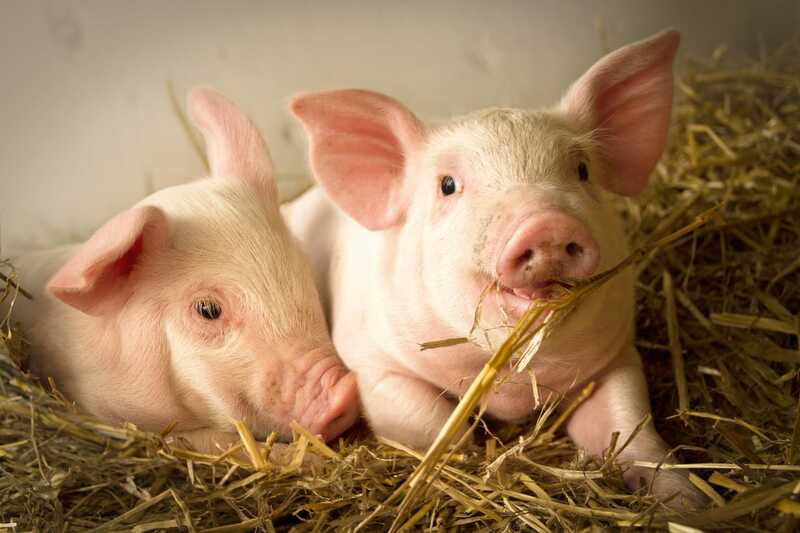 Pig longevity and robustness, and uniform litter size in terms of both numbers and piglet weight, are important factors with important welfare implications. Of particular interest to German farmers will be developments in the options available when castration without general anaesthetic is banned in the country from 1 January 2019. They currently have three options after that date – raising entire boars; castrating with the use of general anaesthetic; and treating boars with a boar taint vaccine – but the industry is currently lobbying hard for a “fourth way”, castration using local anaesthetic. EuroTier, which takes place just six weeks before the ban is introduced, will allow Germany’s pig producers to gather the latest information on the available options. From an environmental standpoint, initiatives aimed at reducing emissions from pig production continue to be an area of interest for farmers in the sector. There’s a focus on reducing the quantity of nitrogen being released into the atmosphere, and one method being investigated is the effect of crude fibre in the diet, which aids digestion and reduces the quantity of phosphorous and nitrogen released into the atmosphere from pig manure.